Nature has made it pretty clear that birds rule when it comes to mating displays and courtship rituals. 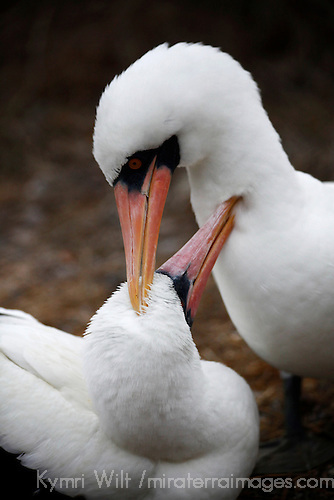 Many types of birds are known to pair up and mate for life, while few other species do. So with all the romance in the air this week, I thought it would be a good opportunity take a closer look and see just how the birds do it. 1. Galapagos Gulls, South Plaza Island, Galapagos, Ecuador. 2. Nazca Boobies, Genovese Island, Galapagos, Ecuador. 3. 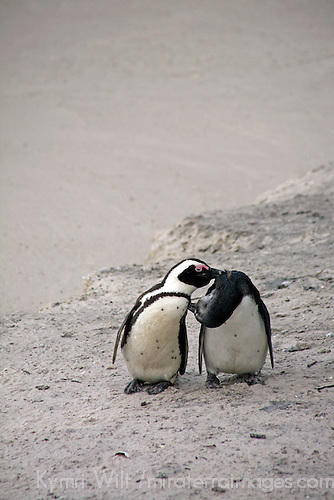 African Penguins, Boulders Beach, South Africa. 4. 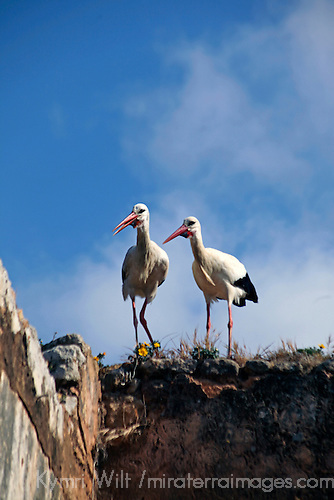 Storks, The Chellah, Rabat, Morocco. 5. 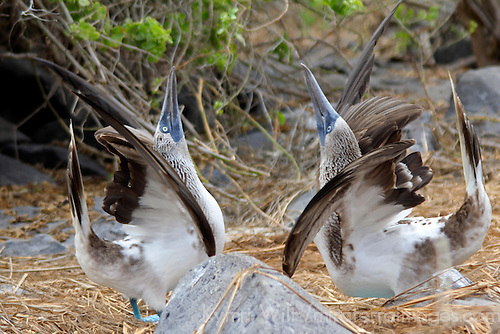 Blue-Footed Boobies, North Seymour Island, Galapagos, Ecuador. 6. 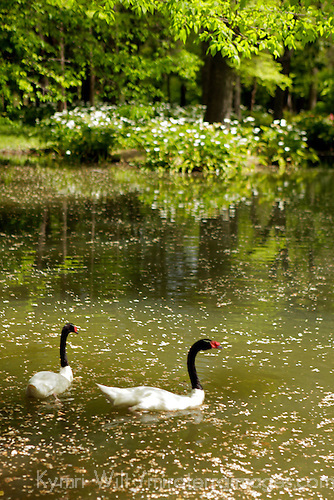 Swans, Santa Rita, Chile. 7. 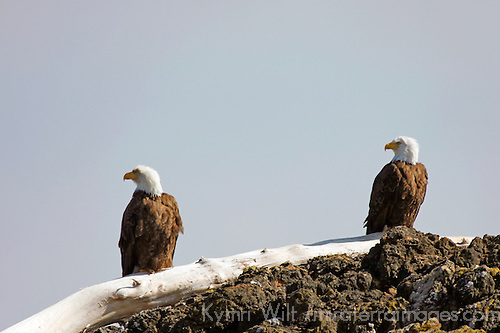 Bald Eagles, Ucluelet, British Columbia, Canada. 8. 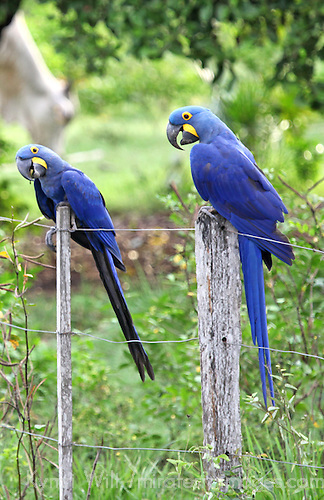 Hyacinth Macaws, The Pantanal, Brazil. 9. 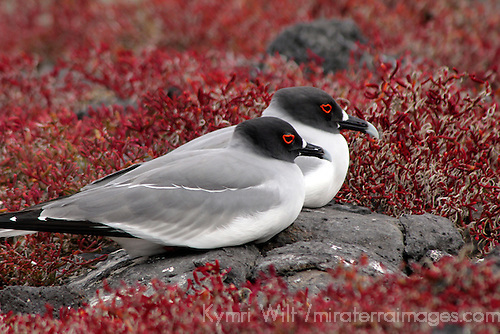 Galapagos Gulls, Genovese Island, Galapagos, Ecuador. 10. 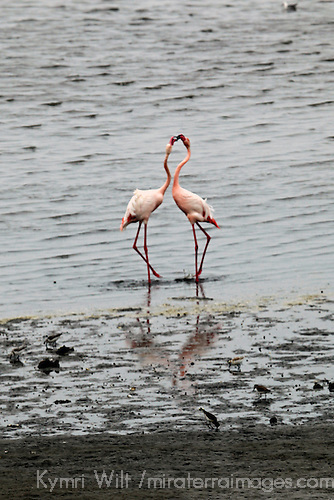 Flamingos, Walvis Baty, Namibia. 11. 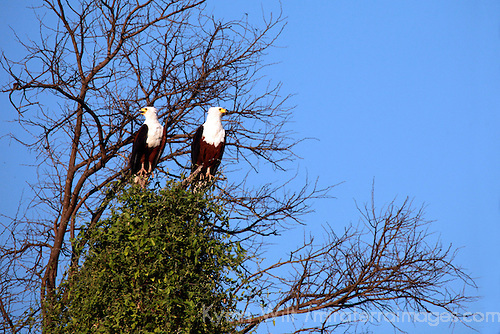 African Fish Eagles, Okavango Delta, Botswana. 12. 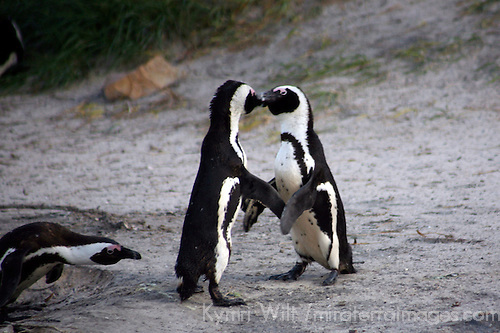 African Penguins, Boulders Beach, South Africa. 13. 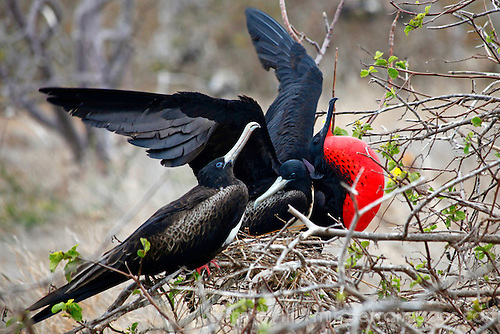 Magnificent Frigate Birds, North Seymour Island, Galapagos, Ecuador. I posted this originally on February 12,in part to honor the birthday of Charles Darwin, who spent a great deal more time studying the birds of the Galapagos than I have. 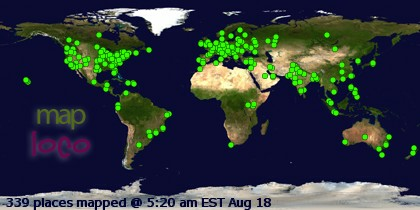 All images on this blog may be licensed here: Mira Terra Images. I've always told my husband that he is my Lobster, he calls me his Penguin. Funny how nature can give us such great examples of lifelong love and commitment. 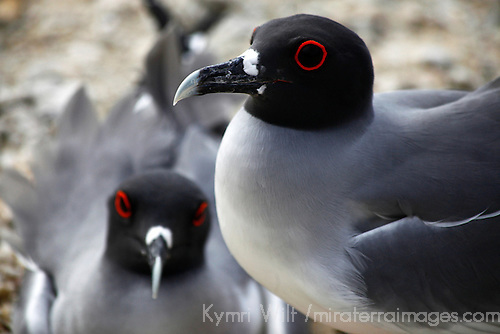 The Galapagos Gulls eyes look like hearts! Loved your colorful bird pictures. I thought No. 4 would be in Morocco, because we saw the same nests high on the walls of Marrakech. What did you think of Namibia? I think it would be amazing to see the flamingoes. These are all good captures, but the Galapagos Gulls are so pristine looking I think they are my favourite romantic choice. Stunning does not even begin to describe this. And in case I was not already convinced--the Galapagos are absolutely on my must see list. Love the gulls. Great shots and yes, we could learn a lot from the birds that mate for life.